You've got to bring your keys, and without your phone, you can't track your distance or listen to music. And you'll want to stop for a smoothie on the way home, so it's probably good to bring some cash or a card with you too. But if you try to put all of that into your pockets they'll either fall out shortly after you start, or possibly even worse bounce against your legs for every step of every mile. So simplify things with the Nathan SpeedView Insulated Running Bottle. 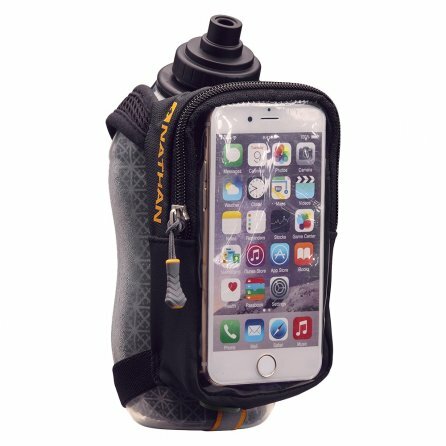 Not only does it hold all these things safely and securely (while keeping you connected to your phone thanks to the touch-screen compatible face and conveniently located headphone pocket), it also carries 18 ounces of water in insulated comfort so you can stay hydrated and maybe run even further!